A handbook to the essays of Michel de Montaigne. Good. Fast Dispatch. Expedited UK Delivery Available. Excellent Customer Service. No dust jacket. Slipcase. New. Brand New! 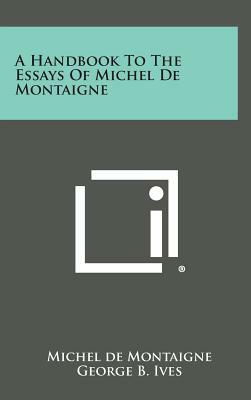 THE ESSAYS OF MONTAIGNE: HANDBOOK" "Includes the Notes upon the Text of the Translation by George B. Ives, and a series of Comments uopn the Essays by Grace Norton. Very Good + Book Nice copy of this work on the writings of Michel Eyquem de Montaigne (1533-1592), who was one of the most influential writers of the French Renaissance, known for popularising the essay as a literary genre and is popularly thought of as the father of Modern Skepticism. Book has very minor wear, pages just starting to age-tone; slipcase is faded and has light wear/marks. Very good. Unboxed copy with the slightest of wear. Not ex. library. 1 v.
Good. B0007I3XVI some shelfwear but still NICE! -may have remainder mark or previous owner's name. Very Good. No Jacket. 12mo-over 6¾"-7¾" Tall. BM3-A hardcover book in very good condition that has some bumped corners and cover edgewear, some tears on the corners, previous owner's bookplate adhered on the front fixed endpaper, some info stamped and marked out on the back endpaper, tanning and light shelf wear with no dust jacket. 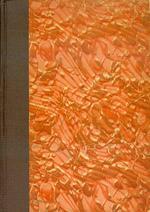 A Handbook to the Essays of Michel de Montaigne which includes the Notes Upon the Text of the Translation by George B. Ives and a series of Comments Upon the Essays by Grace Norton to accompany Mr. Ives' translation. 7.75"x6", pages 1531-2077. Satisfaction Guaranteed. Like New. 2005. Paperback. Fine. New. 1419183036 different cover same ISBN-slight stain on page edge-basically a brand new clean fine unread copy-enjoy. All Editions of A handbook to the essays of Michel de Montaigne.